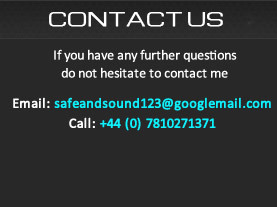 Mix appraisal and advice is a service I have been providing at SafeandSound Mastering for 9 years. Prior to becoming a mastering engineer I used to professionally record music sessions amongst other sound engineering work. (electronic, acoustic and amped – along with radio/sound to picture dubbing as head engineer of the UK’s largest audio production company) Using direct to stereo and multi-track recording techniques in a purpose built studio complex (of which I oversaw the design and build as head engineere) at the UK’s largest audio production company. Given this significant recording and mixing experience (+9 years solely mastering), this provides me with the correct skill set to be able to sensibly and objectively respond to the music mixes I hear, if requested. Over the years it has been a very popular service for people who want a final, objective listen over the mix down prior to mastering. I have always included this mix appraisal in the price of mastering as I find this is very good for myself and for my clients. It reflects well on myself if I can assist with anything that might get in the way of the best mastering result. We have the same goal as a client/mastering engineer team, the best sonic results for your music. As I mix my own music productions in my spare time (screen shot of 119 track mix above) I understand how it is possible to miss things even after 10 or more mix iterations. With this in mind even experienced mix engineers can understand the benefit of a secondary pair of highly experienced ears. (especially using large speakers such as the PMC IB1S) My advice is of course not obligatory, it is there for those who ask. It can be a more detailed request or just a listen back for anything that sounds obviously out of balance or strays from optimal translation tonality for the genre. Typically I tend to respond if I feel there is something obvious in a mix that needs attention (especially clicks/glitches/ dropouts/bad edits etc. that cannot easily be rectified using standard de-clicking software like AA and RX) but also issues like sibilance or an overly loud snare, buried kick drum etc. The acoustics in the studio produce such accurate sound that L/R phase problems, stereo image issues, instrumental balance and tonal problems stick out like a sore thumb. The PMC IB1S (and Benchmark DAC1 HDR DA converter) are a very detailed and full range monitoring solution that allow me to hear deeply into any mix. Presenting all details and issues so I can confidently respond to them in what manner is best. Both in terms of mastering and if necessary mix appraisal to the client. What constitutes a good mix ? When mixing music there are no hard and fast rules (there are of course technicalities which could be deemed rules but mixing is both science and art) and with experience mixing in a professional environment (typically £1,000.00 monitors and a good acoustic) for 5 + years there comes skill and the build up of experience. As someone early on in their career or self produced projects the best advice from myself is to create the best acoustics and monitoring you can afford (especially acoustics). When you eliminate errors introduced by acoustic problems all your remedial work rectifying mix issues can be focused on errors caused by deficiency in skill and not room inaccuracy. For those serious, this cannot be stressed enough as you will make less mistakes as your skills evolve. You will develop your mixing skills faster. We all have to start somewhere, consider a good mix engineer could take 10 years to become very good at the craft of mixing. Your initial aim as a beginner mix engineer is good basic tonal balances and instrumental balances. You will be absorbing and applying a huge amount of information regarding techniques and processes and slowly learning about acoustics, monitoring and getting your ear attuned to what sounds good and what constitutes a good mix. I am not saying experimentation is off the cards but focus on the good basic mix without anything too outlandish. And this should be done in good acoustics so you really understand what you have done without the inaccuracies and ambiguity of acoustic problems. (Which are hugely underestimated and will slow your progress enormously) When I provide any mix advice or response I try and take into account where I think the client is in their career/experience. An experienced mix engineer knows about gain structure, importance of acoustics and monitors, instrumental balances, knows a good recording from a bad one, deeply and instinctively understands dynamics, compression and eq, understands and easily applies reverb/delay based and special effects processes, knows their mix holds up tonally against volume matched commercial references by top tier mix engineers. (or your favourite artists in any underground musical styles). The fundamentals of audio engineering are well known and applied. At this stage mixes can have elements that maybe have a quirkiness about them which are engineered intentionally and not mistaken. This can accentuate a mix and bring something unique and interesting to the song or track. However, these are produced or engineered through knowing the fundamentals, understanding the song dynamics and structure and how far you can deviate from them before they start sounding like obvious oversights. An experienced mix engineer knows the rules and when they can be broken to unique and interest creative effect. Again, these quirks are best judged in good acoustics and with high end monitors. Good mixes tend to have a quality about them where I can understand the person has some developed skills and as such I respond in a professional yet direct manner that seems most appropriate when asked for a “once over listen ” to catch any obvious oversights. Whenever I respond to a mix I always do so with the caveat that the client can ignore my suggestions should they wish to. It is not my job to tread on your mix and production aesthetic but to double check it, should any elements seem unusual. A simple response saying that is how you wanted an element to sound is totally fine. There are a few mastering engineers who feel that mix advice is not appropriate at the mastering stage. The goal is not to tread on a mix engineers toes and be overbearing, critical and suggestive. A polite.. “I am very happy with the mix, no appraisal required thanks.” is all that is needed to avert any mix advice response and to get directly onto mastering. I believe whether mix appraisal is welcome or not is also very personal, it very much depends what your clientele are seeking and most mastering engineers work with a range of clients at varying degrees of confidence and skill. 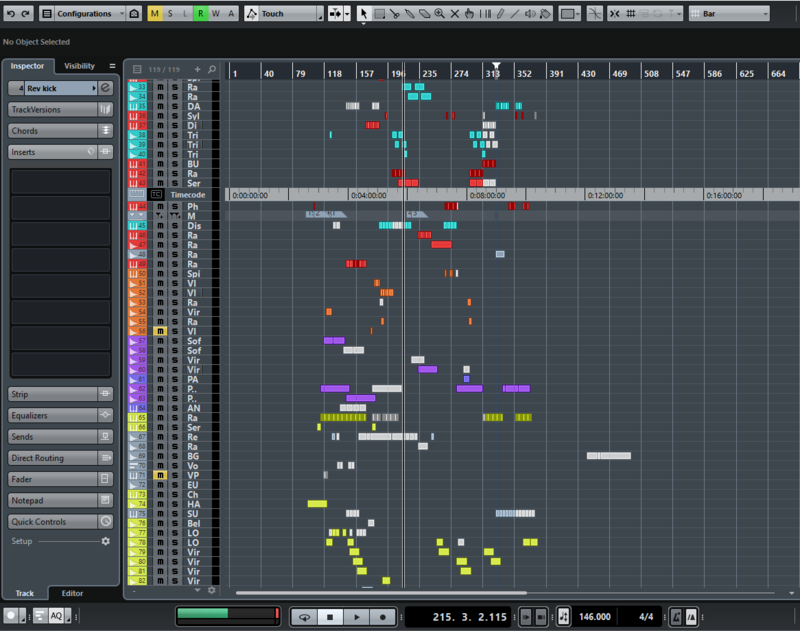 I do not believe it is prudent to give up an opportunity of an objective final response on a mix. (especially with top end equipment and decades of listening and audio engineering experience.) . Yes, mixing is personal and very subjective. However, in my experience there have been so many approvals and positive responses regarding mix appraisal that it is a very valuable bonus service. Many musicians, producers and mix engineers at a variety of experience levels have been very appreciative of my mix appraisal service. At the very least it shows a depth of listening and commitment to making the absolute best possible end result. And that is what mastering is, and if a small mix tweak is the most transparent way of dealing with an agreed perceived sonic issue then it is definitely the best way to resolve it. Overall tonality of the mix – Too bassy, not bass enough, too much top end, not enough top end, harshness in upper mids and a muddy lower mid range are all common tonal issues that are easily and swiftly identified in mastering. These can often be easily rectified in mastering unless a specific instrument is the cause. The cause is typically inadequate monitoring and acoustics in the room the music was mixed. Vocal problems – vocal being too loud, too quiet or too reverberant. Vocal badly eq’d (dull, nasal, sharp). Too many microphone wind blasts, pops or sibilance (sharpness and peaky-ness of high frequencies on “ess” words), many mouth noises (saliva clicks) or overly breathy vocals. Track file top and tails – sometimes a track can start too abruptly if the first sound (often one with a strong or clipped transient – cut on a waveform non zero crossing point) has been edited too closely or has had the front snipped off in the DAW bounce/export. Also sometimes a track has the end cut off abruptly in the case of a decaying instrument or reverb tail, leaving an unnatural and abrupt ending. How do you provide your mix appraisal advice ? “I am hearing that hiss is creeping up a little as I do a little test processing, now this might in fact be intentional or a sonic aesthetic you were aiming for ? (analogue vibe etc.) It is only really audible in the beginning and ends of tracks when the music thins out. When you send a new set at the right level I will be interested to see if the noise floor drops a little or if it is simply inherent in your recordings. (Also worth a check is some plug ins have an “analog” mode that adds hiss, most notably “Waves” so setting that to off might help if that is the case. On vocal – maybe try cutting 1.5dB at 13.0kHz this is cutting through quite a bit at the moment possibly also cut 1.0 dB at 3.8kHz on the vocal. Q of 1.0 in each case should be fine. It might be very simple eq settings, de-essing a vocal in a specific frequency band and suggestion to tweak a fader up or down on 1 single source. Before making any mix changes the client should always “Save As” and rename the project with “BG Tweaks date” for example. Then you always have your original mix for reference etc. A music mix is a very complex interdependent sonic composition which can help convey the emotional content and journey of a song or track. In some instances in the case of an absolute beginner it may be beyond mix advice to rectify the mix of a piece of music. I will clearly explain this is the case if it is so, albeit quite rare. Suggesting remedial mix changes is a very skilled type of auditory work. It is not simple even for an audio engineering professional of 20 years experience in a perfect monitoring environment . Trying to aurally isolate specific sources from a complex stereo mix in the auditory/mental faculty is not an exact science and as such they are educated, “in good faith” responses that are not 100pct accurate. 100pct accurate remedial suggestion is impossible for any engineer and some problems and advices are easier to convey and resolve than others. If small mix tweaks are suggested they are very likely to make an improvement to the final music mix. This, after all is the entire point of the appraisal. The service has been highly appreciated by my clients and continues to be a very valuable added extra which is freely included in the price of mastering. Mix appraisal is provided when requested, once a mastering job is paid for and proceeding. If you are interested simply ask when you email that you wish for a mix appraisal and I will listen and respond based on what I hear. You will receive an objective, first listen, fresh ears response. In the event that the tweaks required to resolve the issues are not within the skill level of the client stem mastering is an option that can be considered. You can find the stem mastering page below for more information. It is a cost effective option relative to a full mix down service and can go a long way in creating an improved master in many cases.